Last week, on the Work Feels Good Community page, I uploaded a free, 13-page guide that provides a unique perspective on meaningful work. It includes research and ideas about the world of work from leading experts. Although we all follow our own path toward meaningful work, we encounter many of the same barriers. During my 11-year military career, and for my first 15 years in the corporate world, I was unhappy with my working life. I had a happy life in general, but I felt stuck in my dissatisfying careers. After leaving the military, I immersed myself in mountaineering to escape the boredom, stress and meaninglessness of my work. Soon, my plan was to save most of my corporate paycheque so I could retire early to a life of adventure as I travelled the world to climb mountains. Luckily, that didn’t happen. 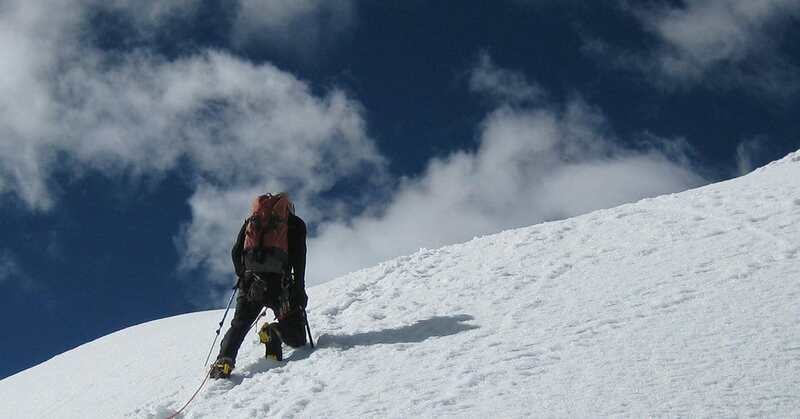 Photo of Tom Morin on Mount Ishinca, Peru, taken on the day he started his journey toward meaningful work. On the My Mission page, I’ve written about the two times I thought I might die at work, but on a mountain in Peru, for a few moments, I thought I was going to die escaping from meaningless work. Just after we rappelled off the 18,000ft. summit, my oxygen-starved brain started hallucinating. I saw myself leave my body. I thought I would stop breathing at any moment, and I was terrified. I stumbled along, gulping and biting at the air. The lower I got on the mountain, the better I felt. Although I made it back to basecamp, it was the beginning of the end of my climbing life. But that day, I was lucky in many ways. That day, I began my journey toward meaningful work. It’s been over ten years since that day in Peru. During that time, I have dedicated myself to learning as much as I can about work, created my own deeply meaningful working life, and began helping others create theirs. It’s been a journey for all of us. And on that journey, most of us have to overcome these three barriers before we can find meaningful work. Humans have always needed to work to survive. We’ve created a rich culture of work that we are immersed in from birth. Powerful forces in our lives—our parents, friends, society’s leaders, and, more recently, the media—continually tell us about work. They tell us what work is more valuable, more responsible, and more meaningful. Their message is woven into the fabric of our lives. Like water sustains the fish, our work sustains us. And, although the fish can’t change its water, we can change our work. We are like fish who are unaware of the water that sustains them. If a fish was dissatisfied with its life, then blamed the water for its dissatisfying life, there is nothing the poor fish could do about it. Like water sustains the fish, our work sustains us. 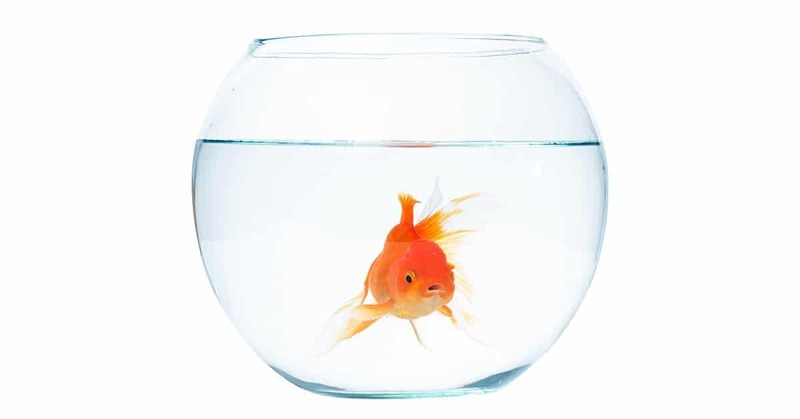 And, although the fish can’t change its water, we can change our work. We can create a deeply meaningful, even joyful, working life. We can understand and accept our immersion in the culture of work. And, when we understand and accept our immersion, we become aware of the choices available to us. Although we are often able to change our geographical location and level of education to access different work, there are only so many jobs available. To be satisfied with our working lives, we need to pick the job that is uniquely meaningful to each of us. But, for every job out there, there is someone who finds that particular job deeply meaningful. So, if all work available to us can be meaningful to someone, how do we choose the particular work that is uniquely meaningful to each of us? The answer lies in understanding our values and beliefs about work. Those powerful forces in our lives tell us the relative value of certain jobs. The result is our belief that certain work is more meaningful, valuable, or responsible than other work. But when we choose new values and beliefs about work, we reveal a new world of work. For most of us, work is the thing we do most. And because we spend so much time at work, we need to get work right. In this blog, I’ve presented only a portion of the perspective on work from my free guide. I’ve also provided a number of additional references in the guide. Did you download the guide and did it help you? Please let me know by leaving a comment, below. Or, you can connect with me and comment on Facebook, LinkedIn and Twitter. Also, please share this article with your family, friends and coworkers. Keep checking our Community page for more free resources or subscribe to Work Feels Good to be notified as soon as they are uploaded.